Man, I hope these rad nerds at MIT figure out better ways to make batteries! 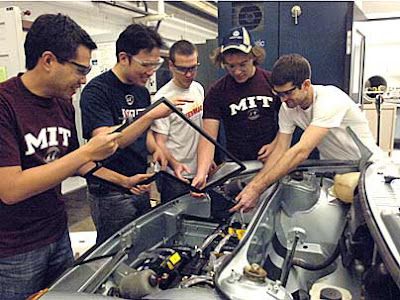 For the past six months a team of MIT students has spent hundreds of hours--many late at night--converting a sleek Porsche 914 into an electric vehicle. Their goal? To demonstrate the viability of advanced electric vehicle technology and to help clarify what research and development has yet to be done. The movie "Who Killed the Electric Car" really was effective with me, and it made me want an electric car sooooo badly. Want!